Did Nehru refuse Kennedy’s nuclear weapons technology offer? It would have made India one of the founders of the NSG rather than the supplicant it is today. Former foreign secretary Maharajkrishna Rasgotra’s new book A Life in Diplomacy deserves more attention that it has received. Now a sprightly 90, Rasgotra served as foreign secretary in Prime Minister Rajiv Gandhi’s administration. Rasgotra joined the Indian Foreign Service (IFS) in 1949 and had a bird’s eye view of not only India’s diplomacy in the Indira Gandhi and Rajiv Gandhi years but also during the Jawaharlal Nehru years when he was a rising IFS officer. Disclosure: Rasgotra was one of the senior diplomats I interviewed at length while writing Rajiv Gandhi’s biography. He was courteous, knowledgeable and frank. Seated in his compact home in a quiet, leafy area of Delhi, Rasgotra said to me at the time: "In the three months I worked with Mr Rajiv Gandhi as his foreign secretary, I did not have to wait for a decision longer than was necessary. There was never any piling up of my ministry’s papers in the PM’s office. The prime minister was learning fast: he would consult a variety of opinions and on difficult issues he would float one of his own, sometimes a decoy, to invite the opposite view so that he could weigh its merits and demerits more exhaustively." But it is Rasgotra’s views on Jawaharlal Nehru in his new book that have stirred debate. Did Nehru refuse JFK's nuclear weapons technology offer? 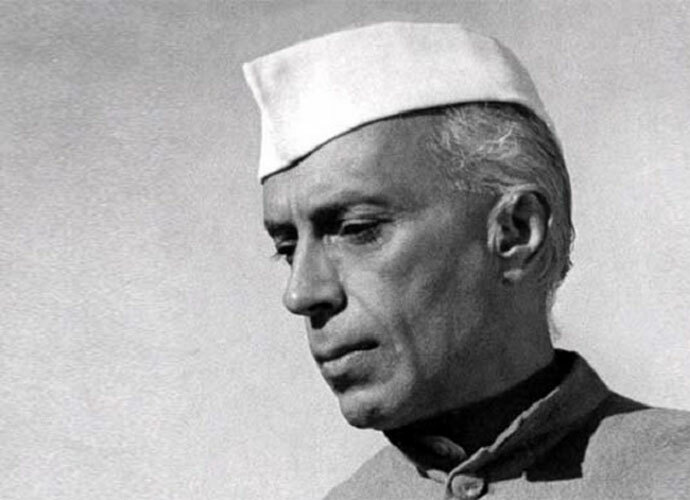 Two specific questions need to be answered: One, did Washington offer India a United Nations Security Council (UNSC) seat in 1950 by unseating communist China – an offer Nehru reportedly declined? Two, did US President John F Kennedy in 1961 offer India nuclear weapons technology which would have made India a nuclear power before China exploded its first nuclear device in 1964 – again an offer Nehru turned down? Anton Harder, a PhD student in the International History Department of the London School of Economics, did his dissertation on Sino-Indian relations for the period between 1949 and 1962. "The issue of India’s right to a seat on the United Nations Security Council (UNSC) is a controversial one in India today, but it is not new. The historical controversy has centered on the culpability of independent India’s first Prime Minister, Jawaharlal Nehru, in not seizing several alleged opportunities for India to join the UNSC as a permanent member in the 1950s. Nehru’s critics, then and now, accuse him of sacrificing India’s national interest on dubious grounds of international morality. The question, however, goes beyond Nehru’s reputation, as it provides rare insights into India’s relations with the United States and the People’s Republic of China (PRC) at the beginning of the Cold War. "New evidence of an offer by the US in August 1950 to assist India in assuming a permanent seat at the UNSC has recently emerged. Nehru’s rejection of the US offer underlined the consistency of his conviction that China’s legitimate interests must be acknowledged in order to reduce international tensions. Integrating China into the international community by conceding its right to the Chinese seat at the Security Council was in fact a central pillar of Nehru’s foreign policy. Nehru’s scepticism about accepting this offer, and thereby disrupting the dynamics of the UN, revealed the reverence he had for the international organization, despite its flaws. Nehru’s sense that India deserved recognition as a great country was made plain, although this was qualified by his refusal to compromise core principles to gain such recognition. "What was the context of the US offer for India to join the UN Security Council? Nehru’s reference to the US’s offer is frustratingly vague with no hint of the circumstances or timing in which it was made. However, research done in the correspondence of Mrs Vijaya Lakshmi Pandit, Nehru’s sister, and holder of various major diplomatic positions in the late 1940s and early 1950s, illuminates the subject. In late August 1950, Pandit wrote to her brother from Washington, DC, where she was then posted as India’s Ambassador to the United States." Harder adds in his research paper: "Nehru’s determined rejection of the US plan to place India in China’s seat at the UN Security Council reflected the particular reverence and centrality placed on the UN by what one might call a 'Nehruvian' foreign policy. The UN was important to Nehru because he regarded it as the venue for the resolution of international conflict on the basis of sustained dialogue and attempts at internationalism; to keep this effort up was to forestall war." Nehru’s generosity to China in 1950 did not of course forestall war twelve years later. The second narrative around Nehru is President Kennedy’s offer to make India a nuclear weapons power as early as in 1961. Rasgotra writes in his new book: "United States President John F Kennedy made an extraordinary gesture towards India. American intelligence had learnt that China’s nuclear programme was progressing towards a weapons’ detonation in 1963. Kennedy, who was an admirer of India’s democracy and held its leader Jawaharlal Nehru in very high esteem, felt that democratic India, not communist China, should be the first Asian country to conduct a nuclear test. So, it is said, that the President sent a letter, written in his own hand, to Nehru offering help to India to conduct a nuclear test, and that accompanying the Kennedy letter was a technical note from the chairman of the US Atomic Energy Commission setting out the assistance his organization would provide to Indian nuclear scientists to detonate an American device from a top of a tower in the Rajasthan desert. "Ashok’s paper also stated that Bhabha was for immediate acceptance of Kennedy’s offer, and Nehru himself was not disinclined to it; for he promptly instructed Bhabha to ‘work out a plan of action on a most urgent basis, should we finally accept Kennedy’s offer’. GP, on the other hand, wanted a couple of days to mull over all the various implications of the offer, and he utilized the time for long talks with Galbraith and BM Mullick, India’s pretentious intelligence chief, but ignored their advice favouring acceptance of the offer. In the end what he told Nehru was in line with Nehru’s own convictions and perhaps also what Nehru wanted to hear. So, Kennedy’s well-meaning offer of a lifetime was gently and thankfully turned down. "Of course, all this is hindsight wisdom, but one thing is certain: India’s acceptance of Kennedy’s offer would have deterred China from launching its war of 1962 and even imparted a note of caution to Field Marshal Ayub Khan’s plans for war in 1965. Nothing deters an aggressor more than a couple of big bombs in the armoury of the target of his hostility." There is a twist in this story. Ashok Parthasarthy, GP Parthasarthy’s son and a former scientific advisor to Indira Gandhi, told The Hindu last month that Rasgotra accessed the information on Kennedy’s offer to Nehru from what was "part of a committee to bring out a centenary volume on Mr Parthasarathi’s father". He added: "No one else apart from me knew about President Kennedy’s offer to Pandit Nehru which was narrated to me by my father. Mr Rasgotra lifted this information which was shared with him exclusively for the purpose of the book which I am editing and will be published soon." According to The Hindu report, "Mr Rasgotra however narrated in the 'Notes' section of the book that he had personally seen 'no evidence' of the Kennedy offer and he read the paper by Prof (Ashok) Parthasarathi which he accessed while chairing a committee which planned the centenary celebration for GP. He had demanded to see the letter from Ashok Parthasarathi who owns all the papers related to G Parthasarathi. However Ashok Parthasarathi had told him that the Kennedy letter was lost." Nehru was a man of great talent, vision and patriotism. But the path to perdition, to amend an old metaphor, is paved with good intentions. Rasgotra’s measured analysis needs wider debate – of Nehru, the UNSC seat and Kennedy’s offer to help India become a nuclear power ahead of China. That would have made India one of the founders of the Nuclear Suppliers Group (NSG) rather than the supplicant it is today.